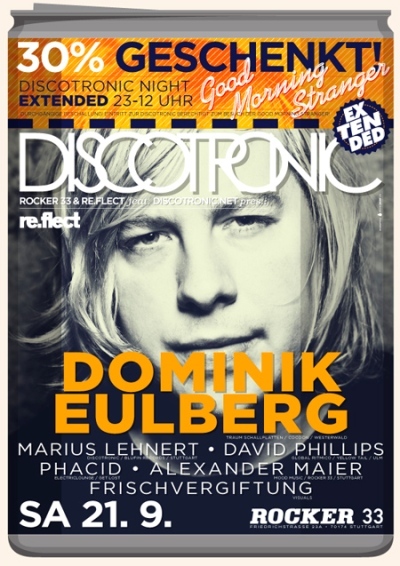 This is our new Discotronic Podcast by Dominik Eulberg (Traum Schallplatten / Cocoon). 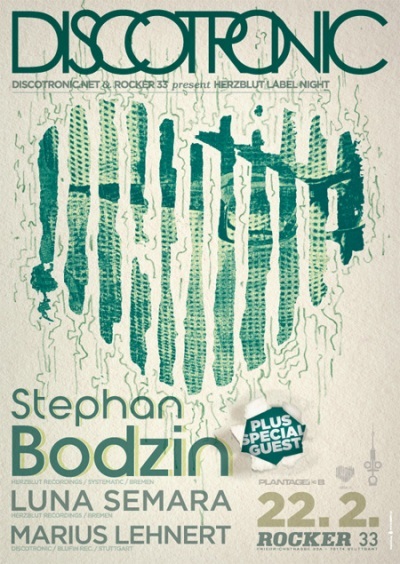 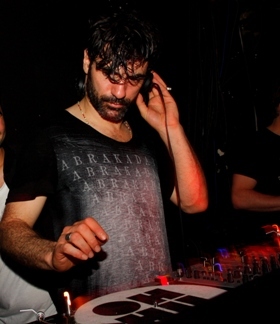 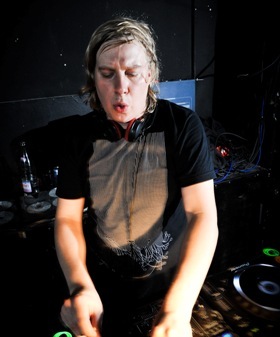 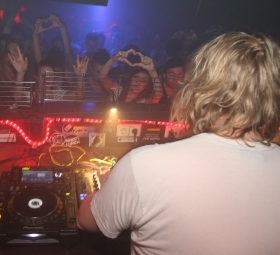 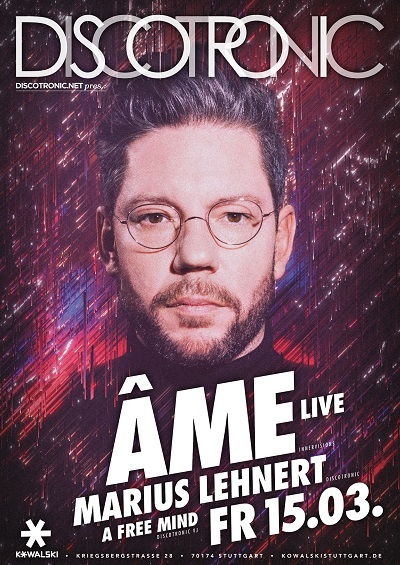 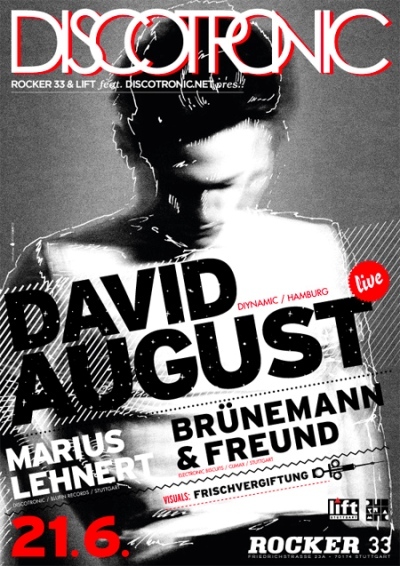 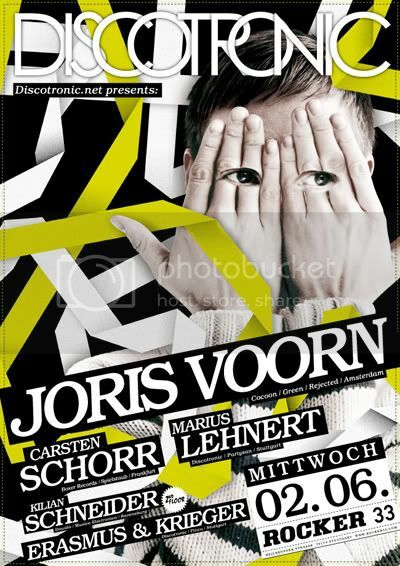 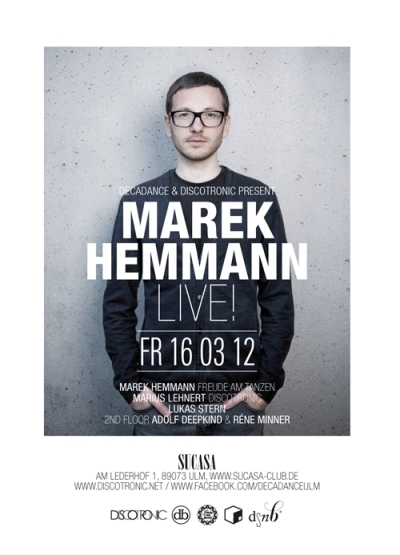 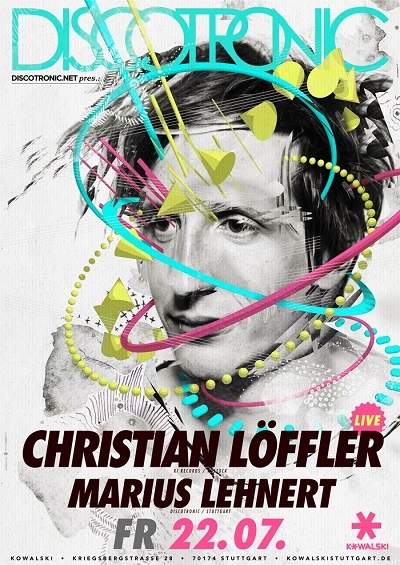 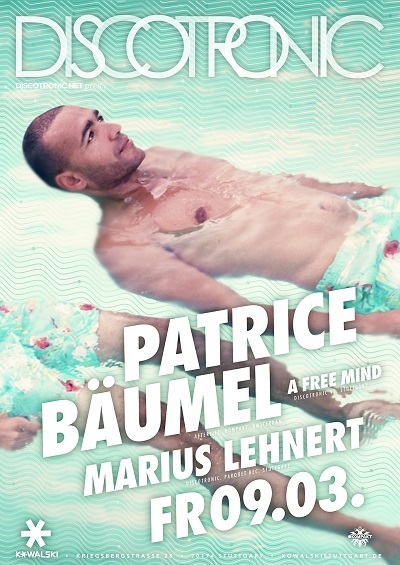 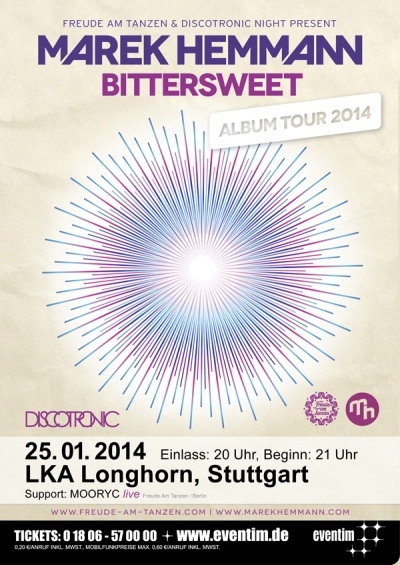 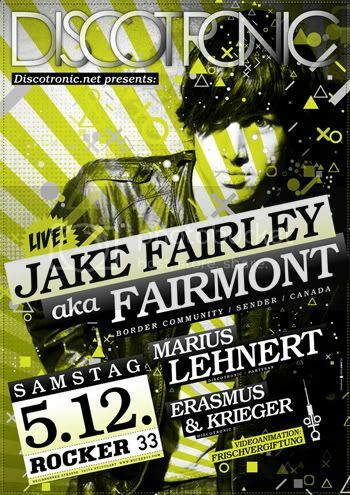 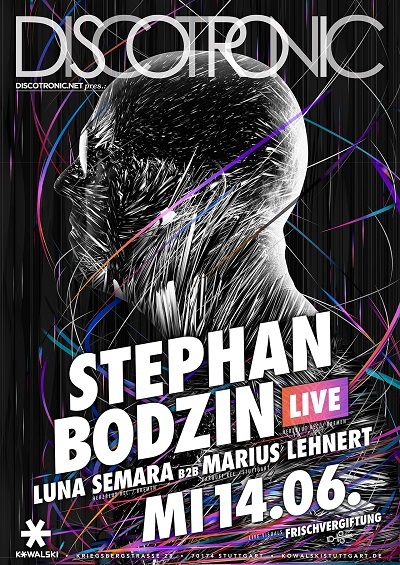 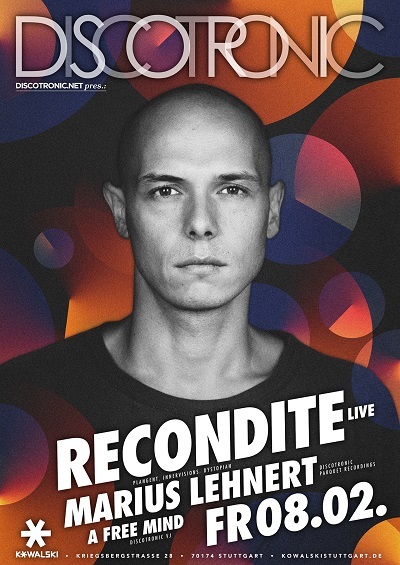 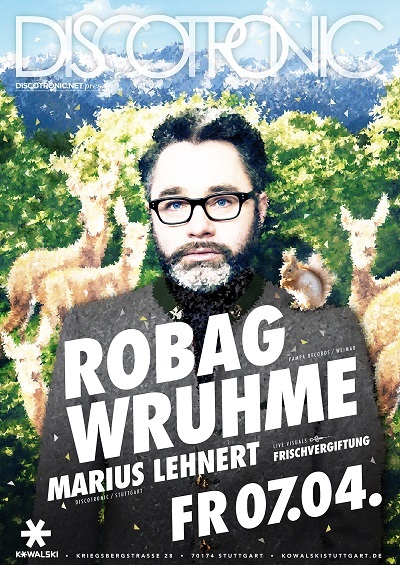 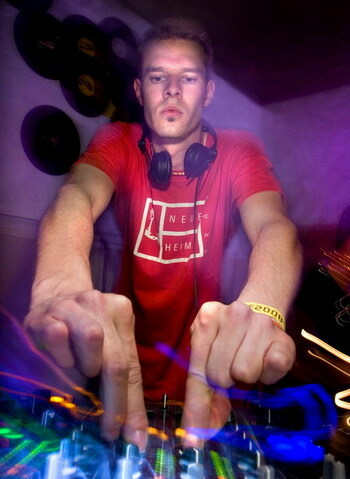 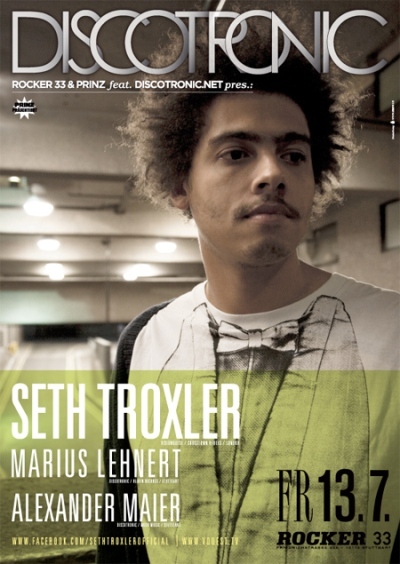 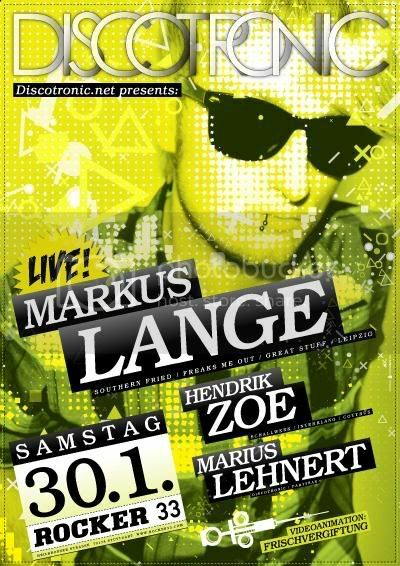 He played a great, nearly 3 1/2 hour set on the Discotronic Night in January 2013 - rockin’ and melodic Techno! 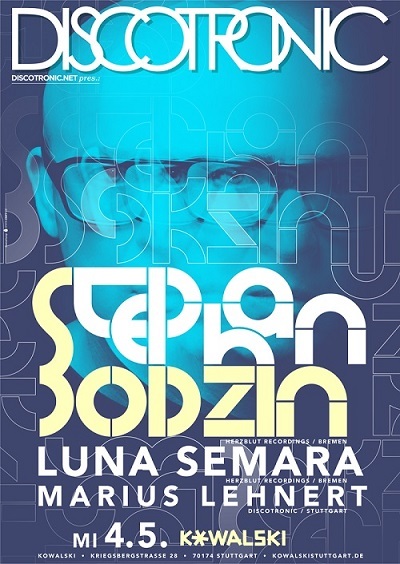 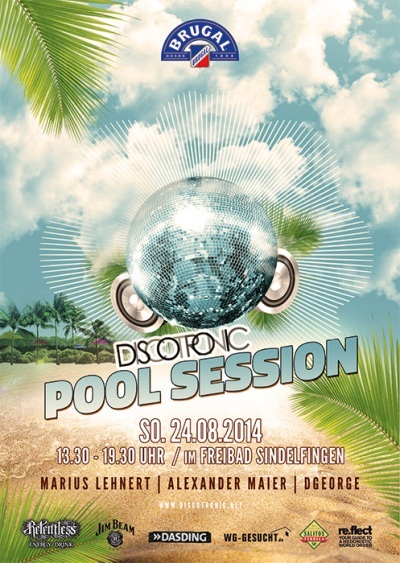 Here is our new Discotronic Podcast by Luna Semara (Herzblut Recordings). 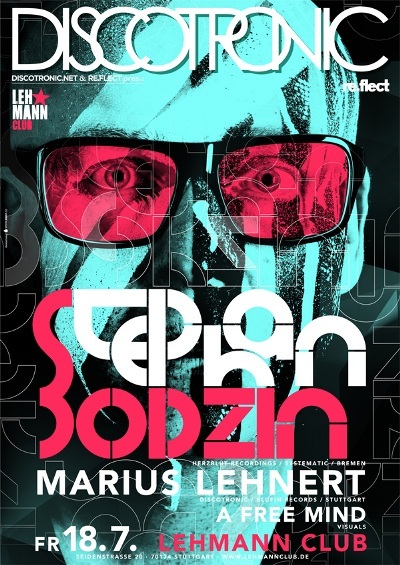 She played this set on the Discotronic Night in April warming up her husband Stephan Bodzin - nice, fresh, melodic and groovy stuff! 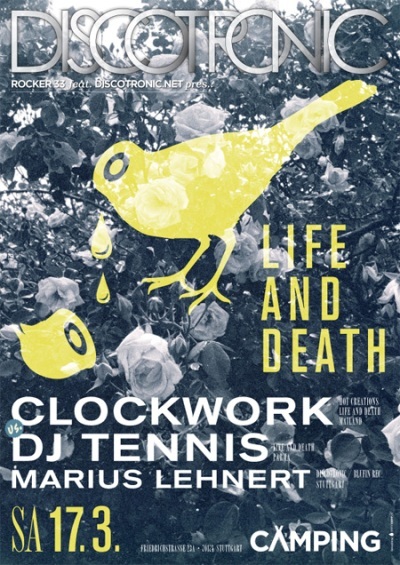 Get this exklusive Podcast, recorded on the Discotronic Night in March 2012 - fresh and unreleased Deep House stuff by Life and Death label head DJ Tennis! 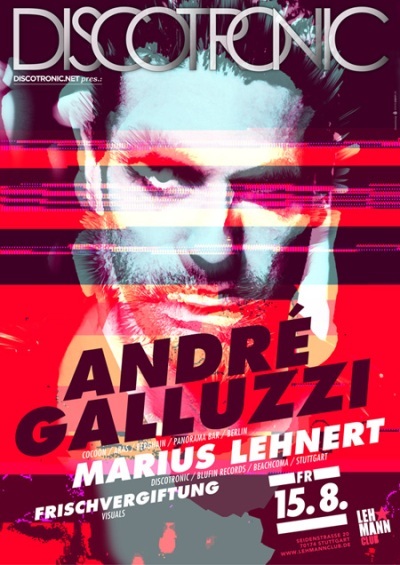 Over three hours of fresh sound from André Galluzzi himself. 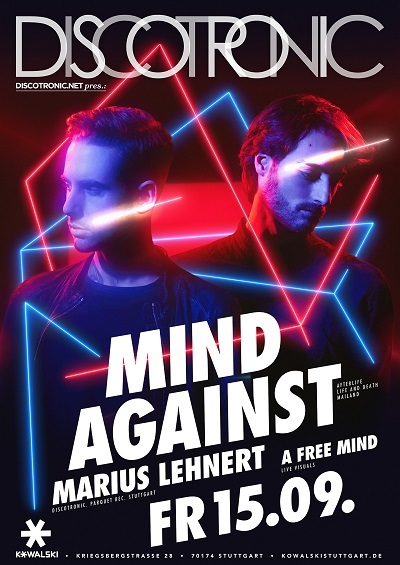 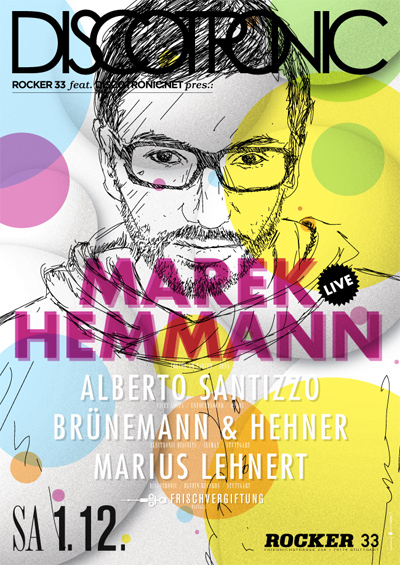 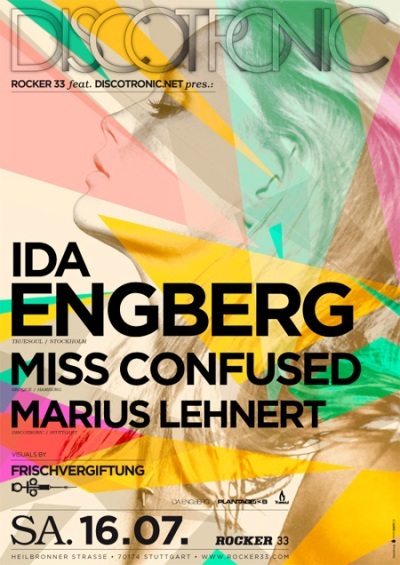 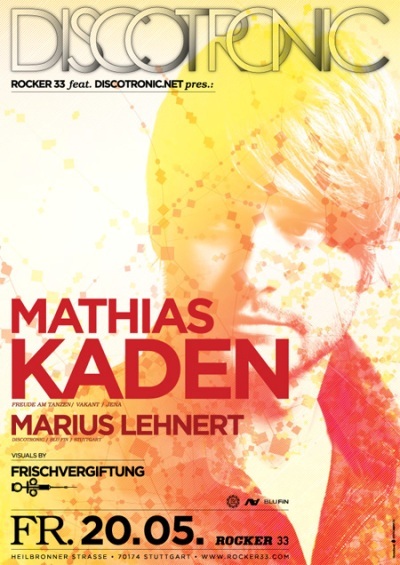 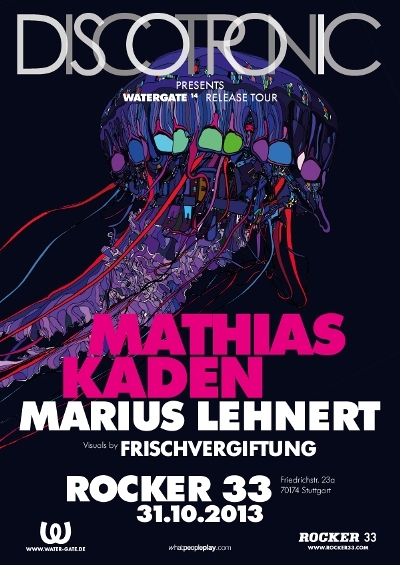 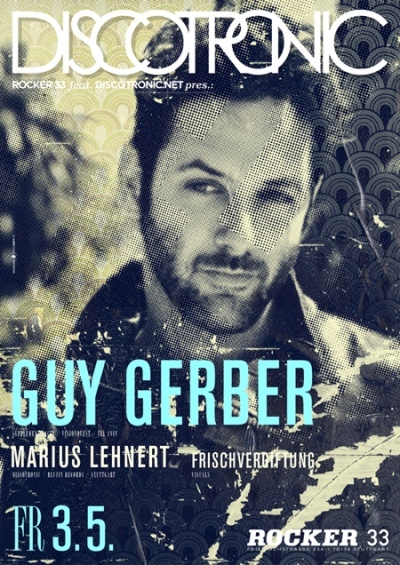 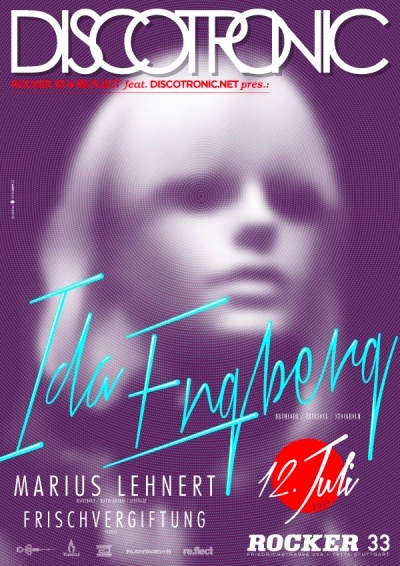 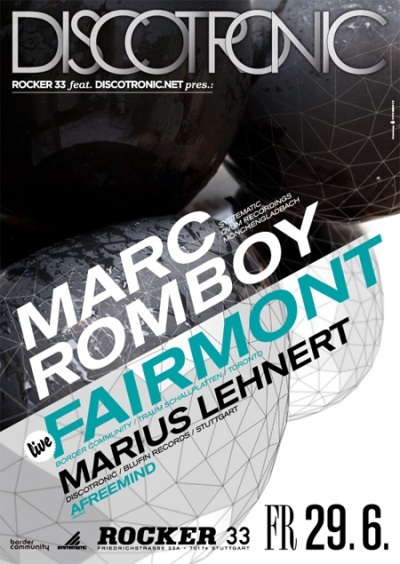 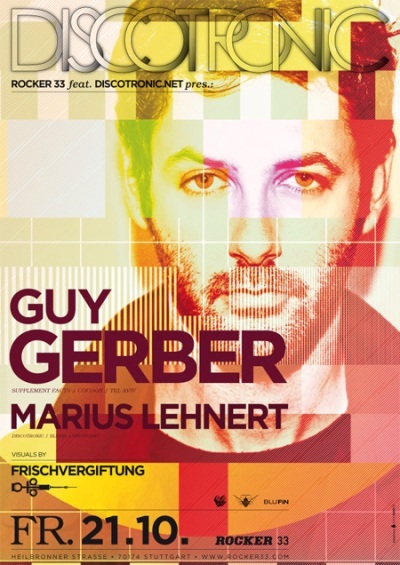 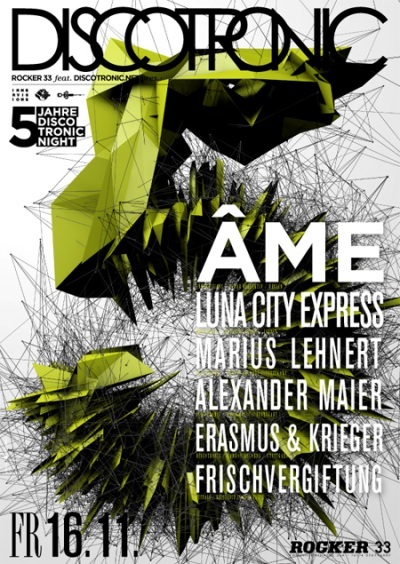 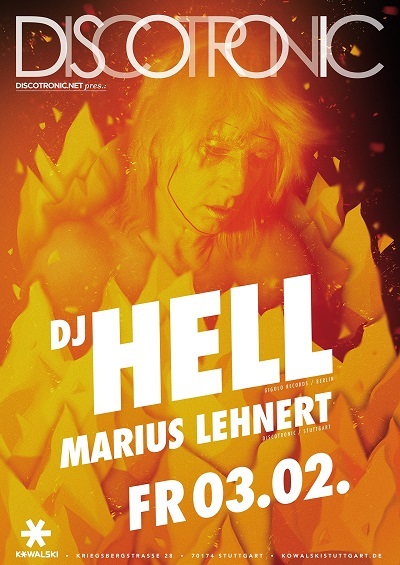 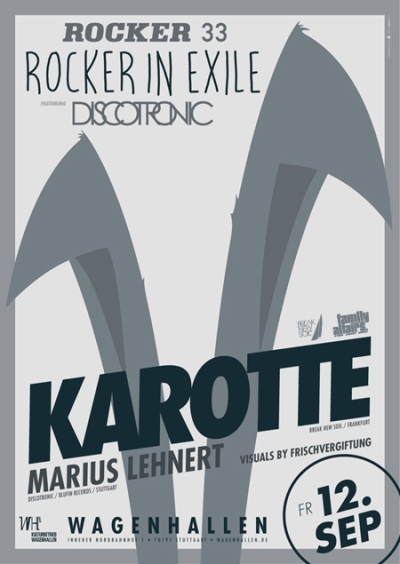 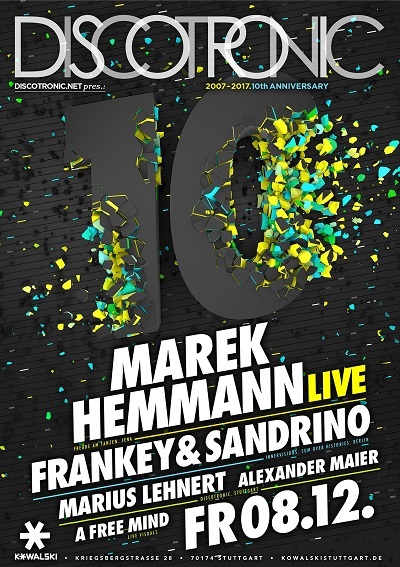 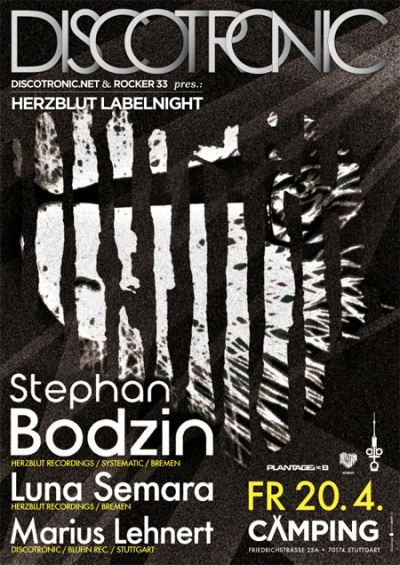 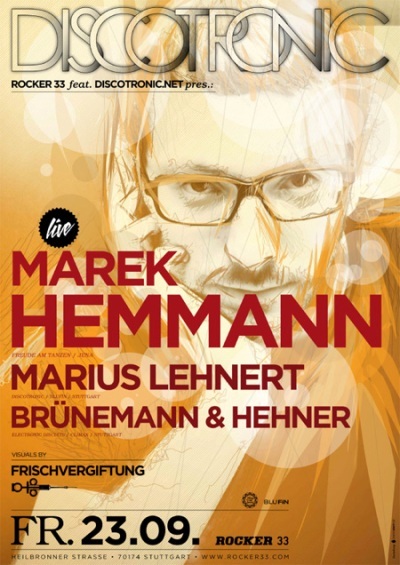 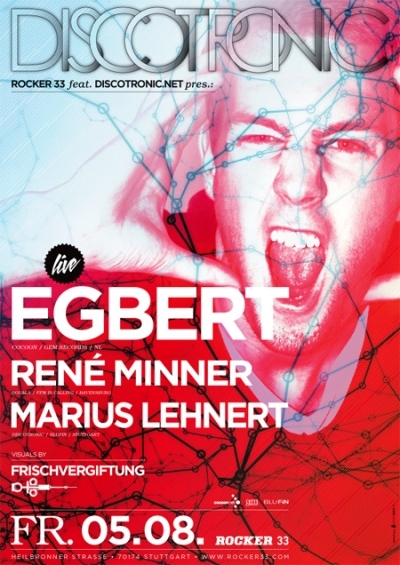 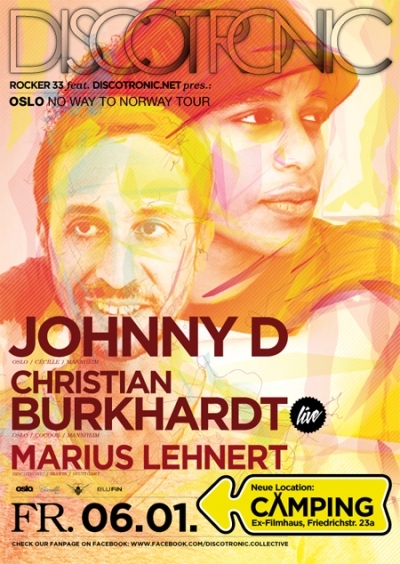 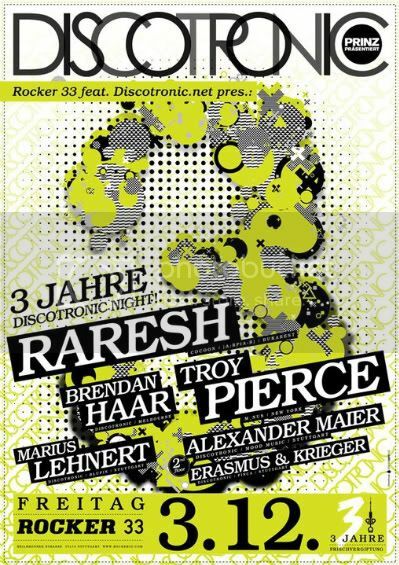 It’s the live recording from the last great Discotronic Night at Rocker 33, Stuttgart in June 2011. 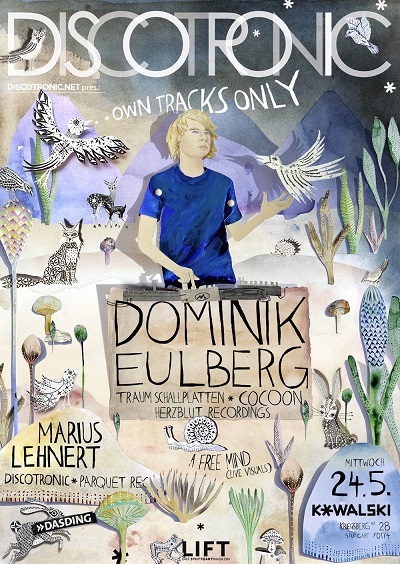 Enjoy it, unreleased yet! 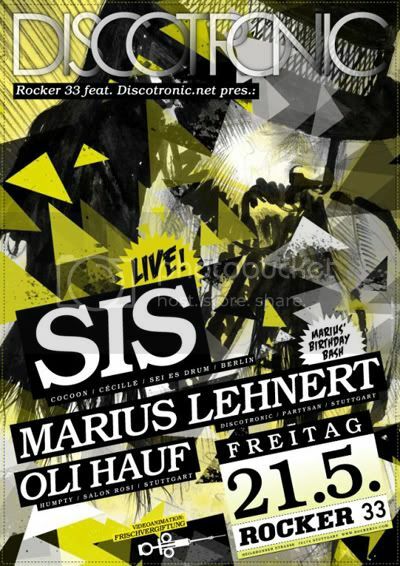 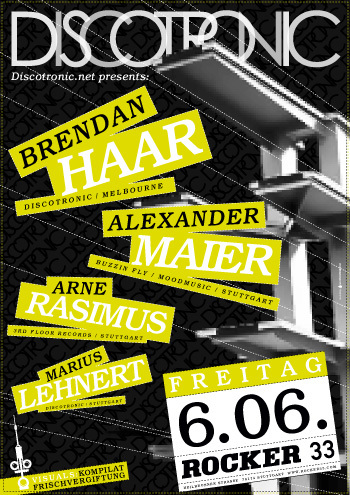 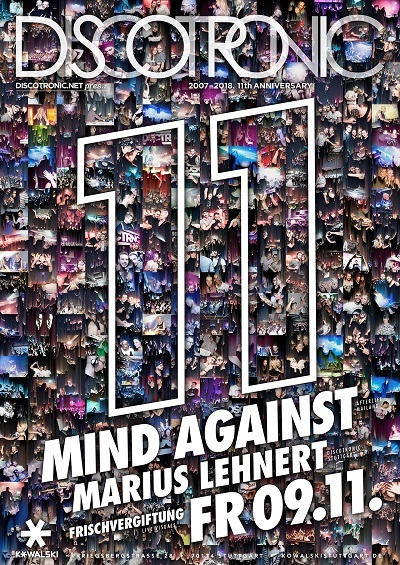 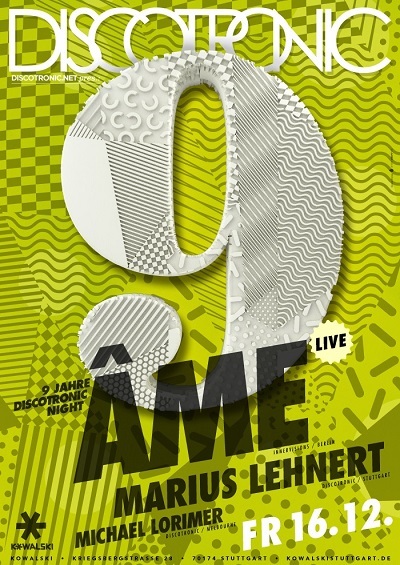 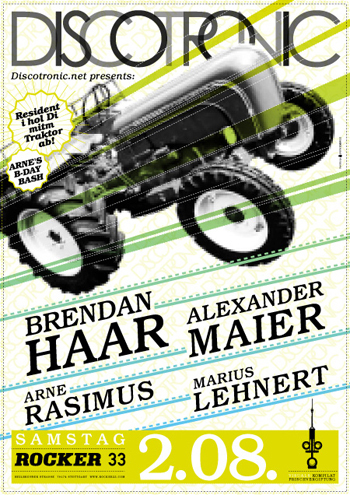 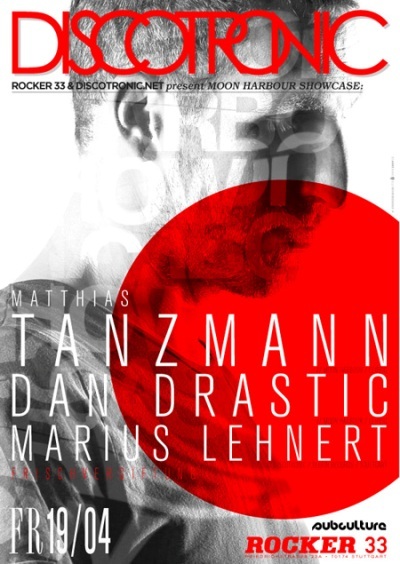 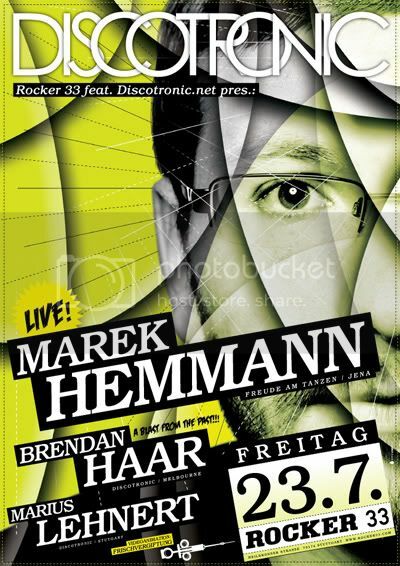 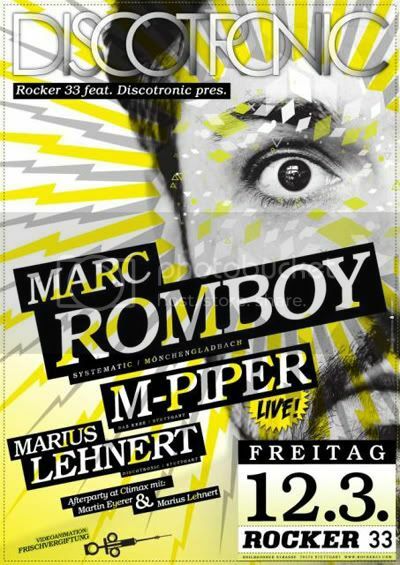 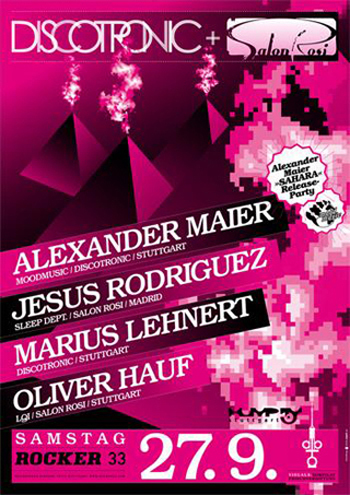 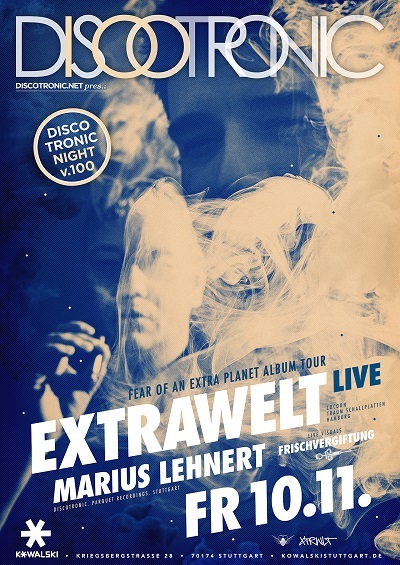 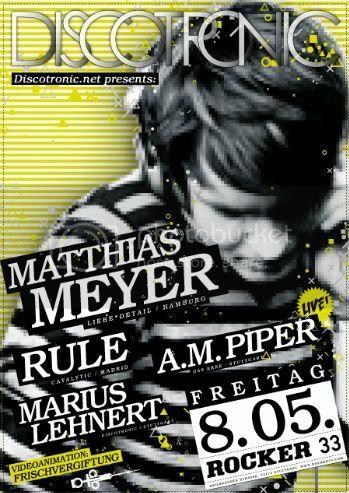 1 1/2 hours Live recording from the last massive Discotronic Night at Rocker 33, Stuttgart in June 2011. 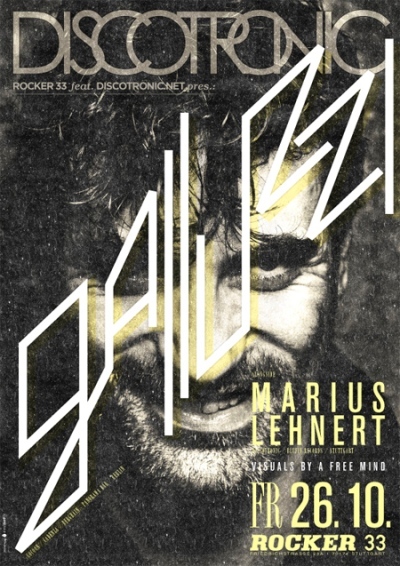 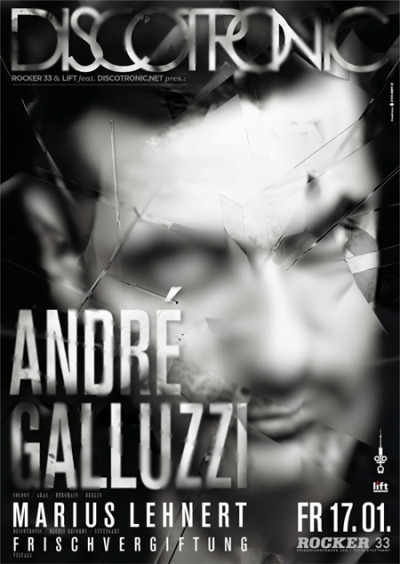 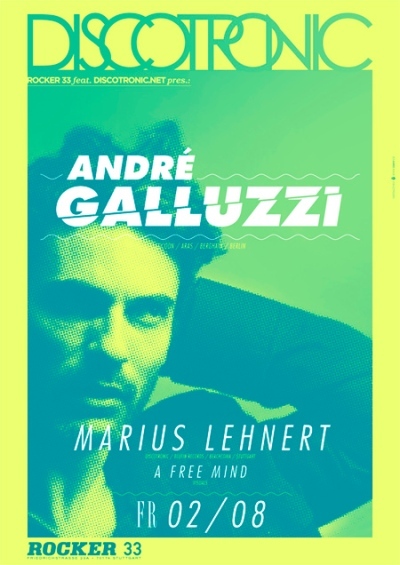 It’s the last part of the warm-up for André Galluzzi - unreleased yet! 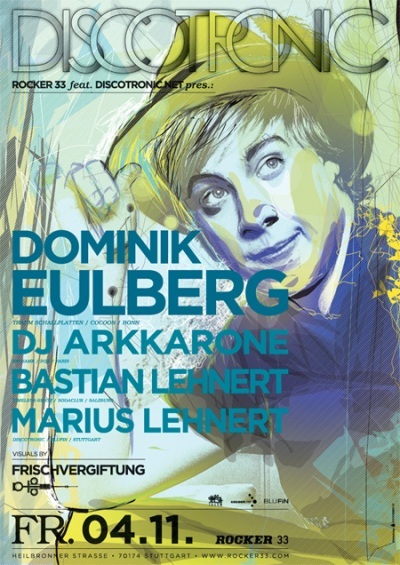 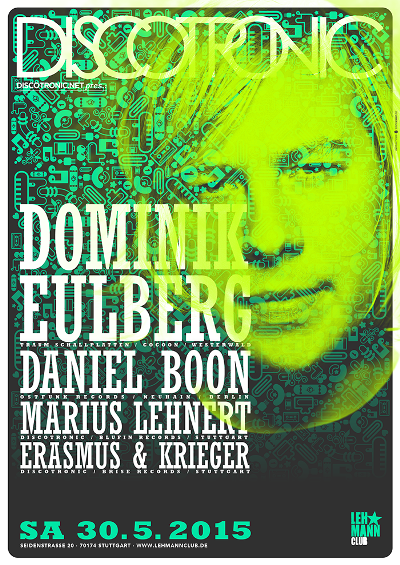 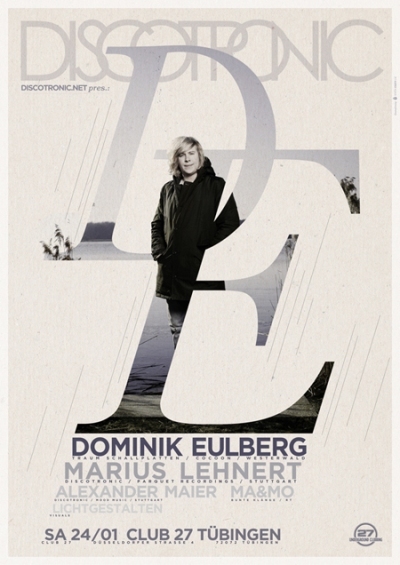 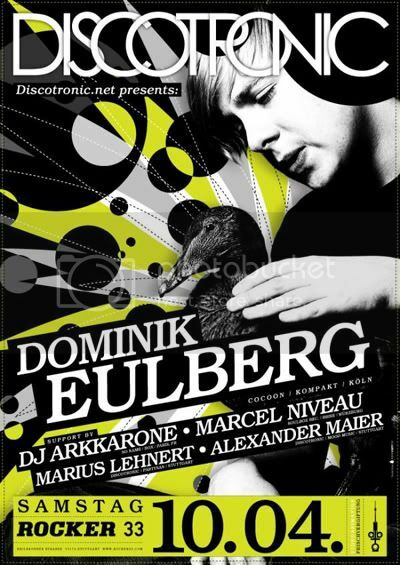 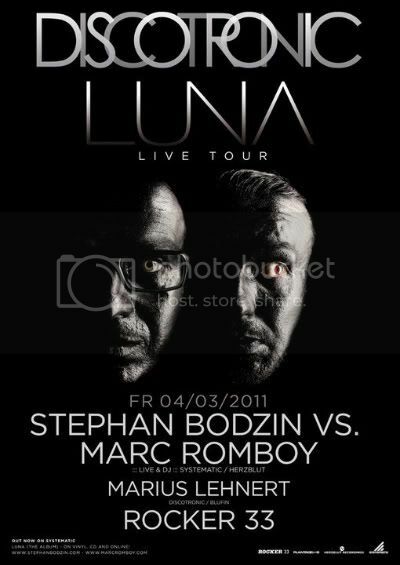 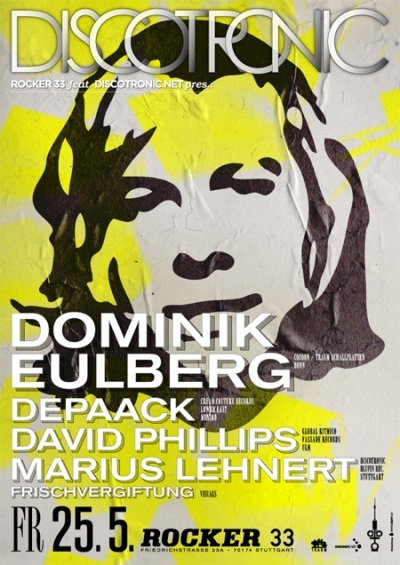 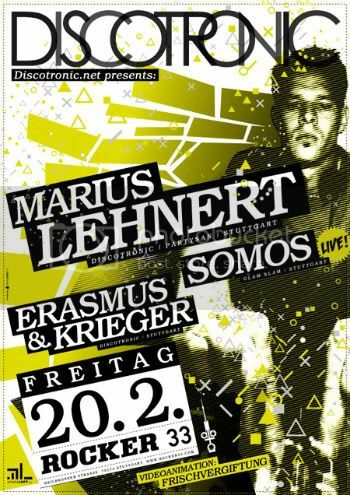 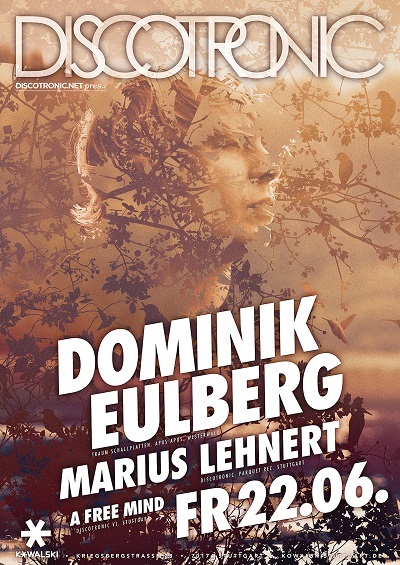 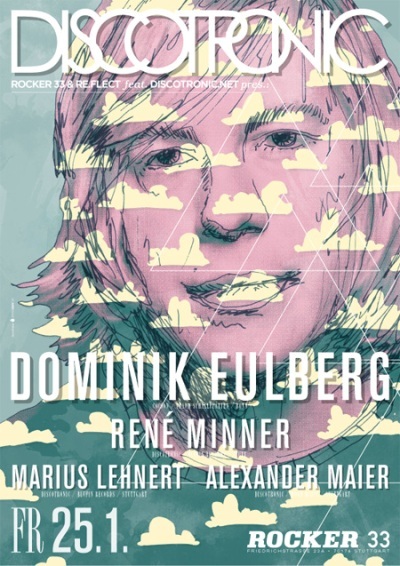 3 hours Live recording from the last massive Discotronic Night with Dominik Eulberg at Rocker 33, Stuttgart in April 2011 - unreleased yet! 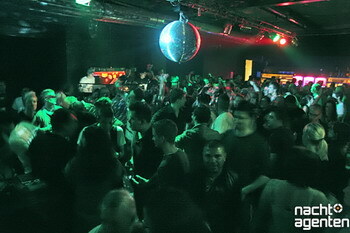 In the gallery section you can find new photos from the great Discotronic Night in October with the local heros Los Pornos. 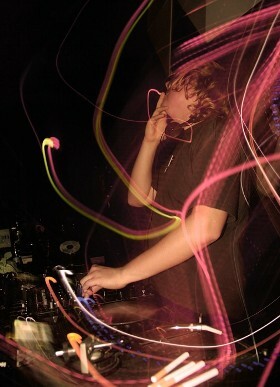 Was a rocking night with a lot of cool people and a great atmosphere what you can see on the pictures! 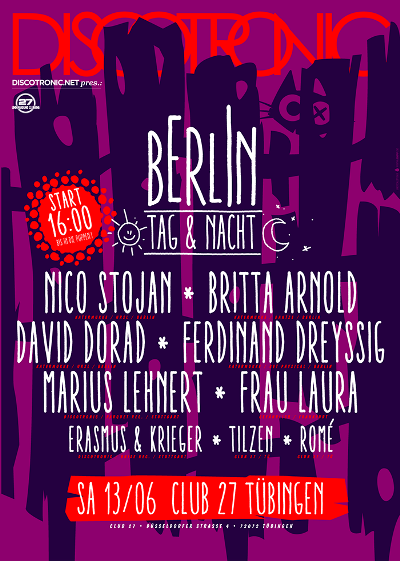 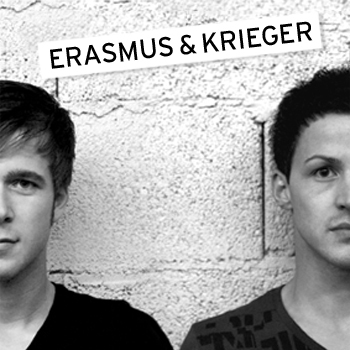 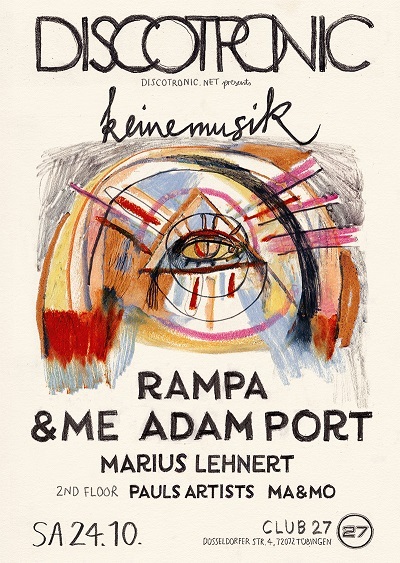 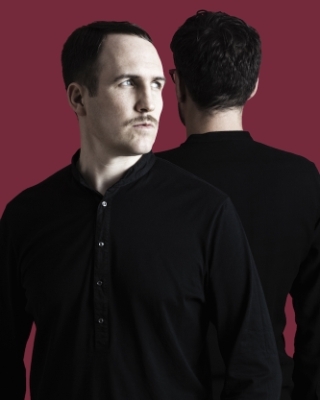 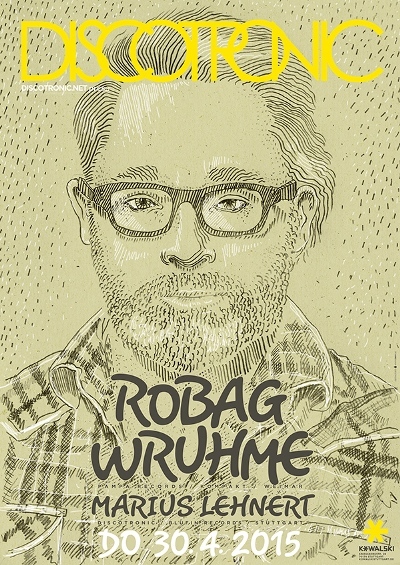 Arne Rasimus and Boris Krieger from Stuttgart have teamed up for a new project called Erasmus & Krieger. 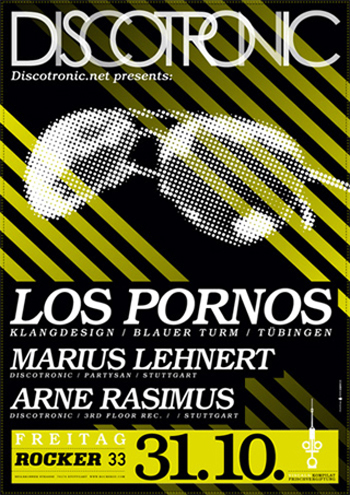 As a team they form an unbeatable unity and with their energetic sets they play themselves into the hearts of the partycrowd. 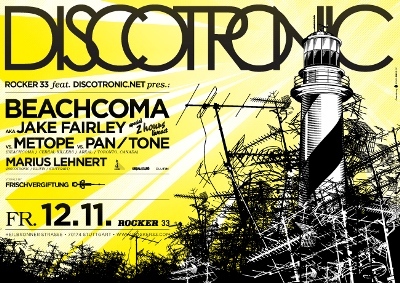 Discotronic Pres. 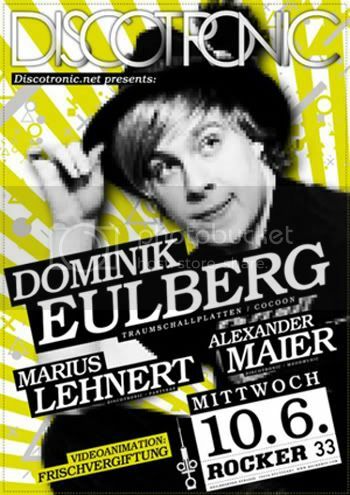 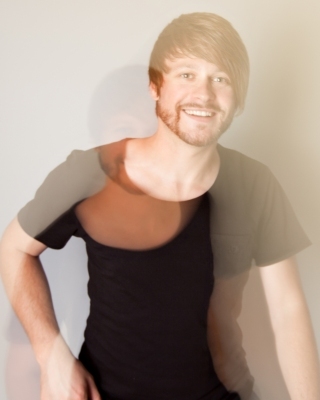 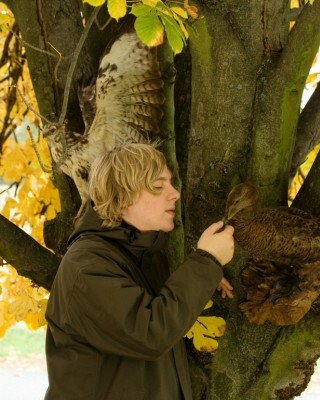 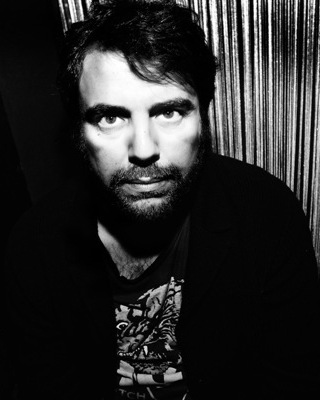 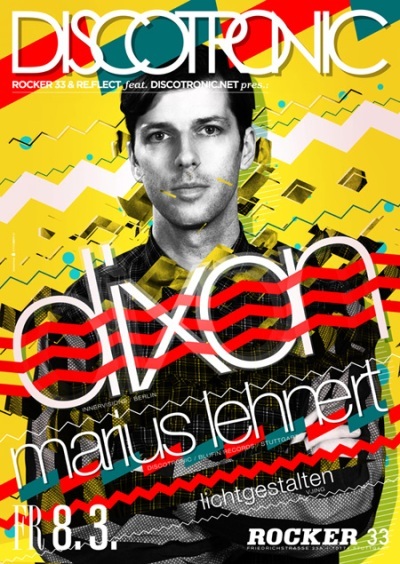 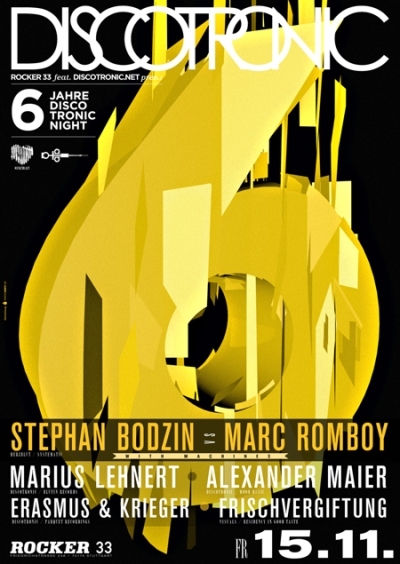 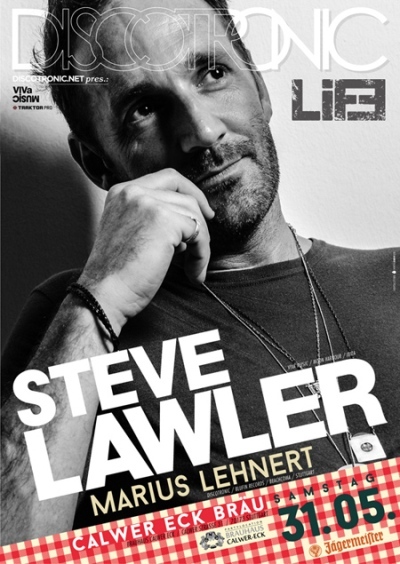 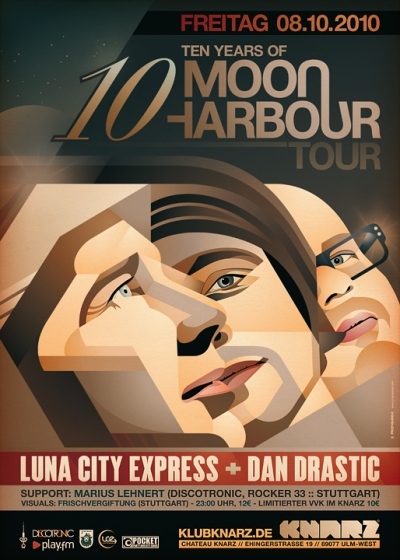 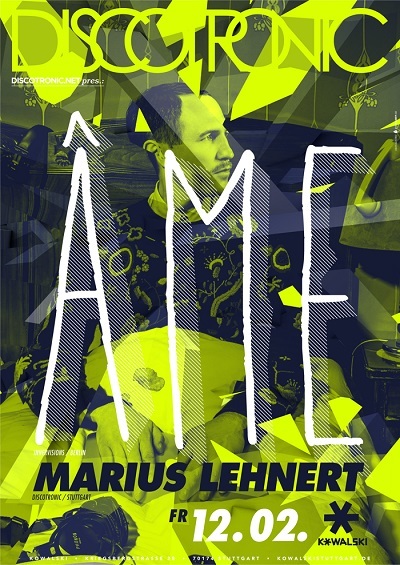 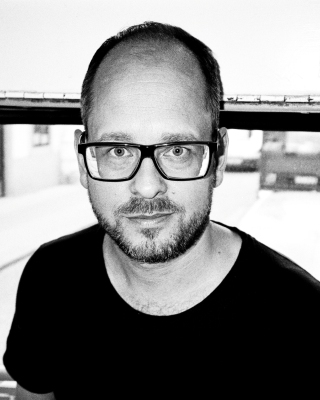 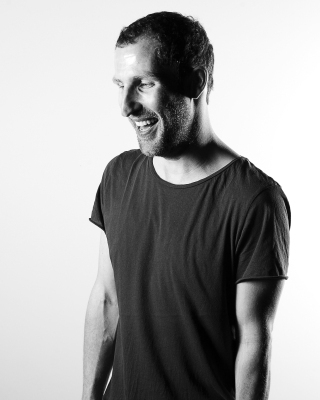 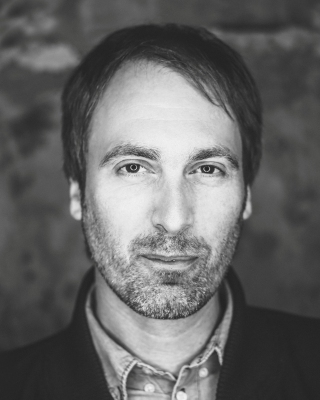 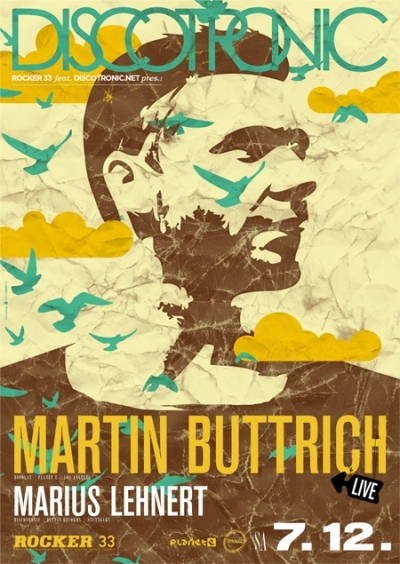 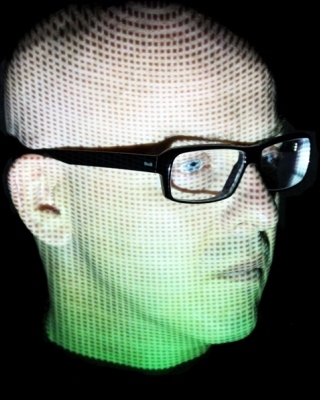 Martin Eyerer (Kling Klong / Session Deluxe / Germany) - Australian Tour & Room 680. 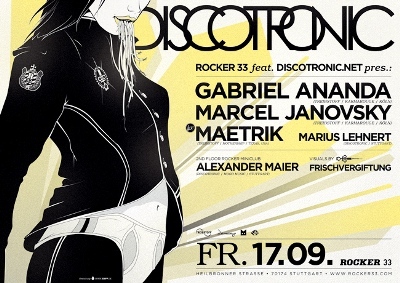 Intro: This is our new Discotronic Podcast by André Galluzzi, recorded on the Discotronic Night in August 2013 - enjoy! 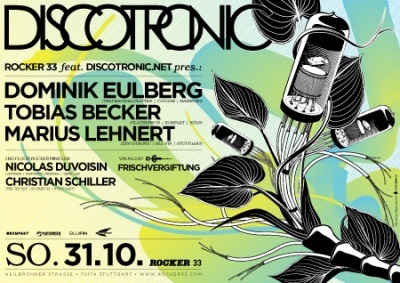 Intro: This is our new Discotronic Podcast by Dominik Eulberg, recorded on the first Discotronic Night in 2013 - have fun! 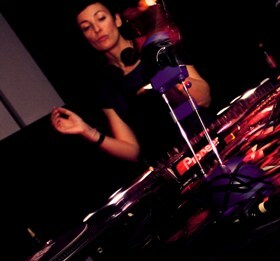 Intro: Here is our new Discotronic Podcast by Luna Semara, recorded on the Discotronic Night in April - enjoy! 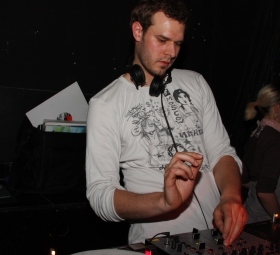 Intro: Get this exklusive Podcast, recorded on the Discotronic Night in March 2012 - fresh and unreleased Deep House stuff by Life and Death label head DJ Tennis! 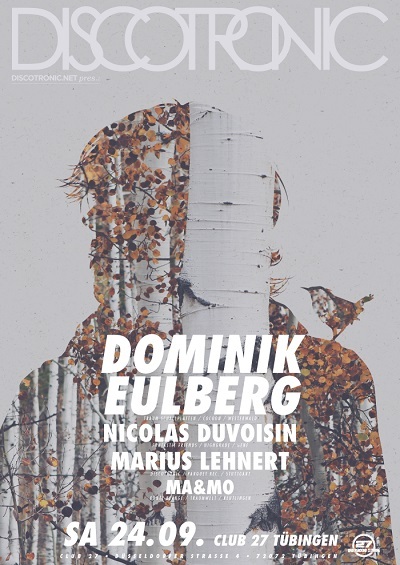 Intro: A huge Christmas gift from Dominik Eulberg for all his and the Discotronic supporters - a nice and pensive mix with music that Dominik is normally listening to at home. 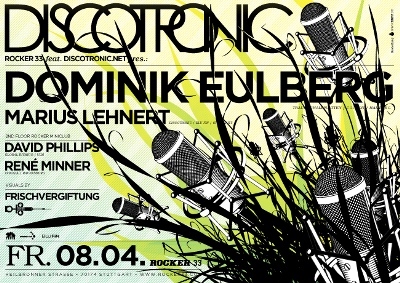 Intro: New Discotronic podcast from Dominik Eulberg. 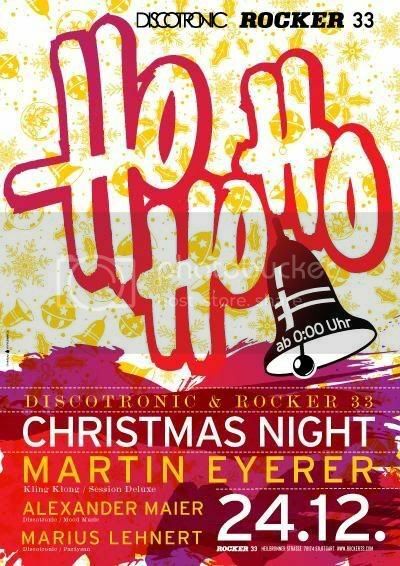 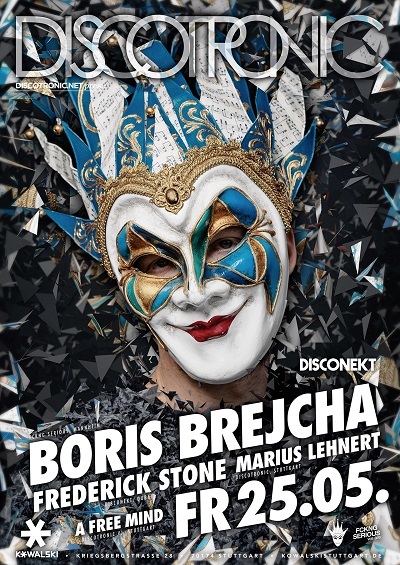 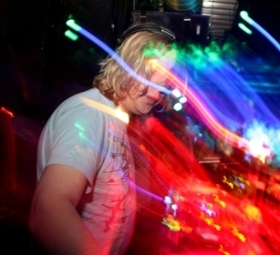 It's his whole, nearly five hours set on the last Discotronic Night in November 2011 - trippin' and banging techno, exclusive for all Discotronic supporters! 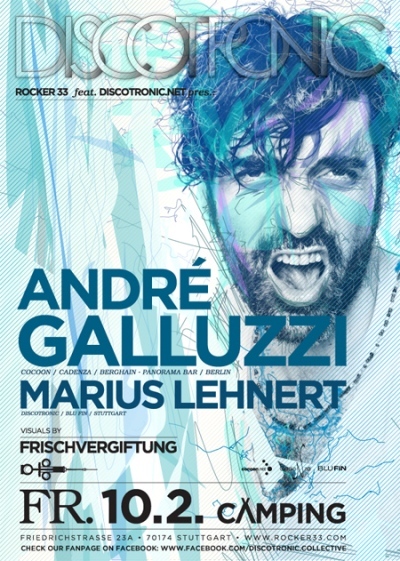 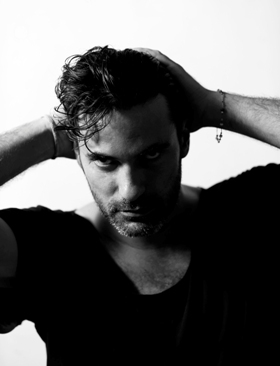 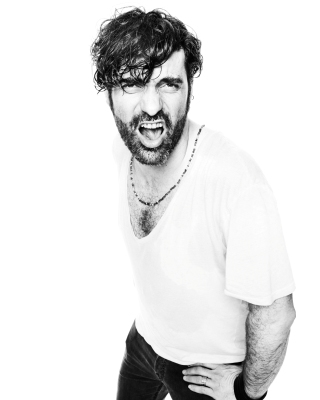 Intro: New Discotronic podcast from Mr. André Galluzzi. 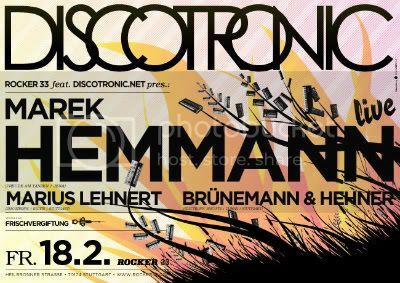 It's his whole set on the last Discotronic Night in June 2011 - over three hours of fresh electronic music, exclusive for all Discotronic supporters! 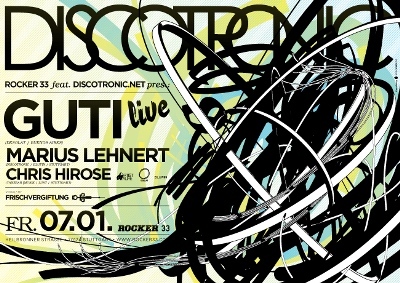 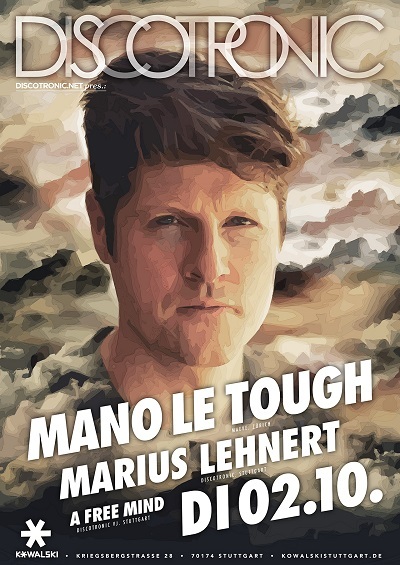 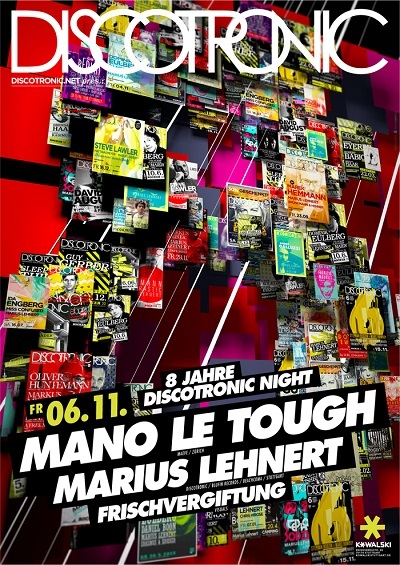 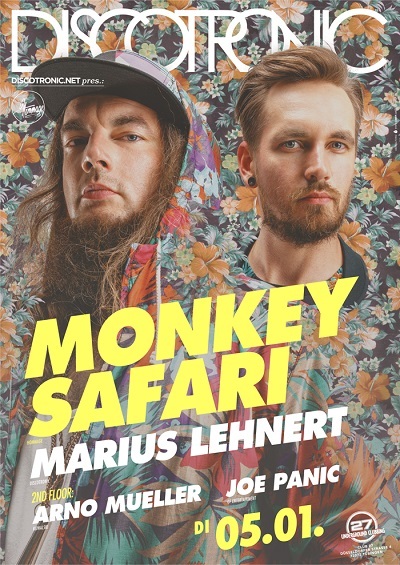 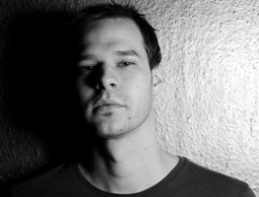 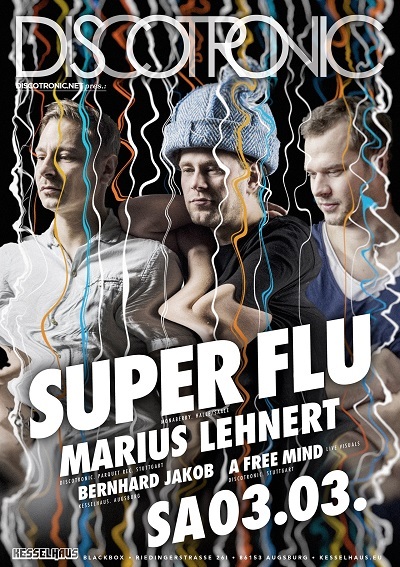 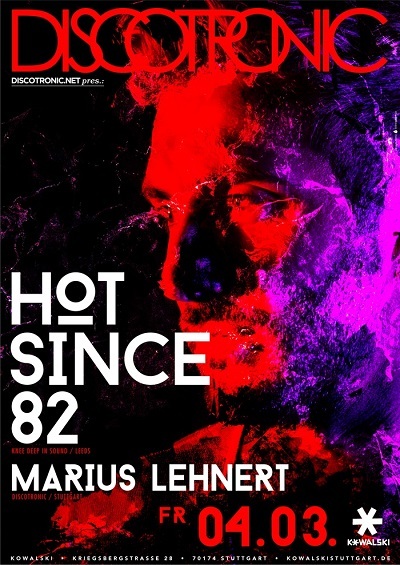 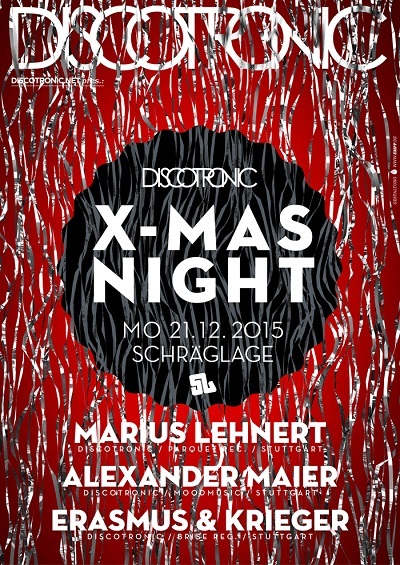 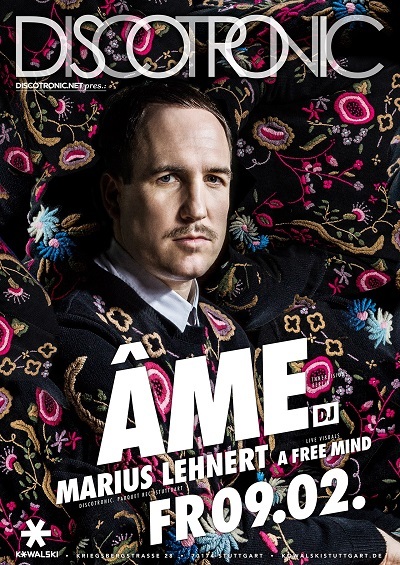 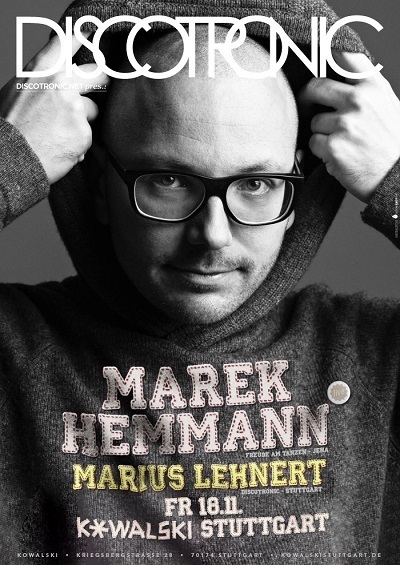 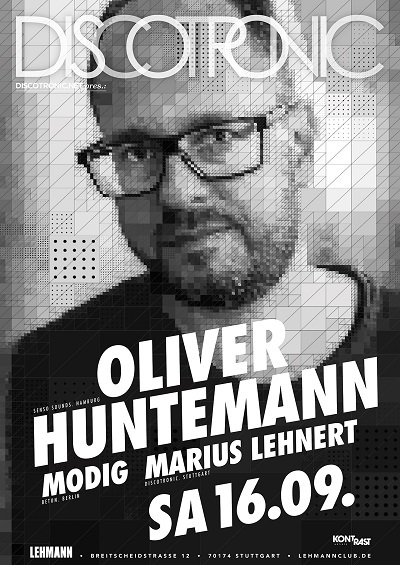 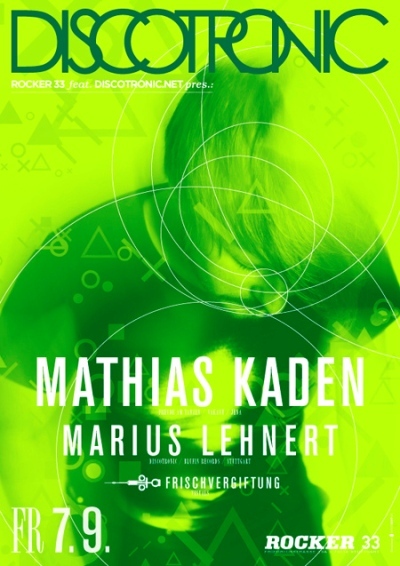 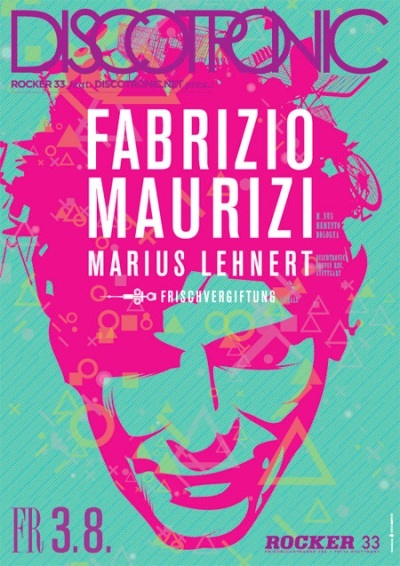 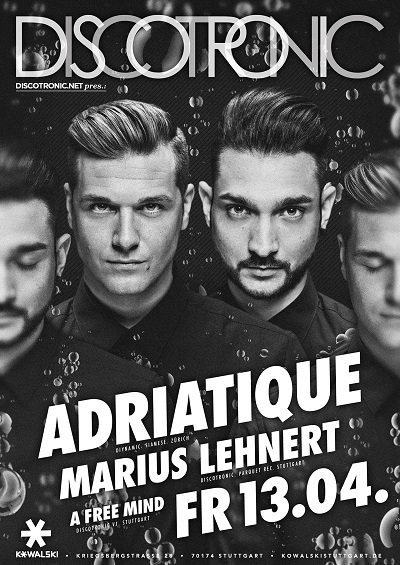 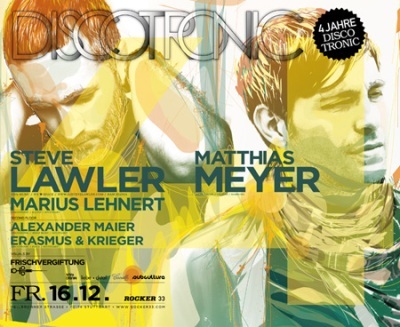 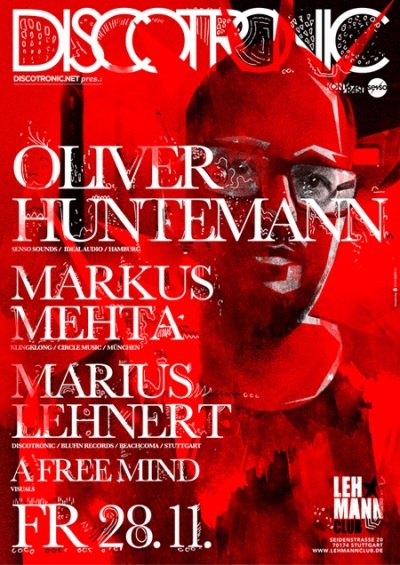 Intro: New Discotronic podcast from the chief himself: Marius Lehnert. 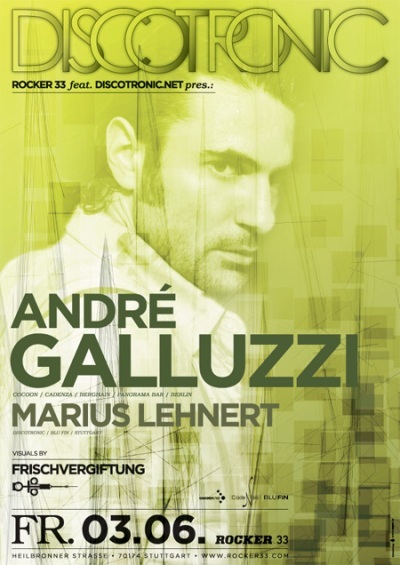 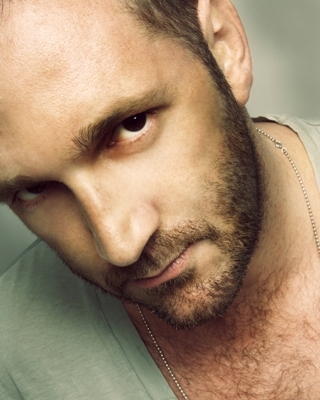 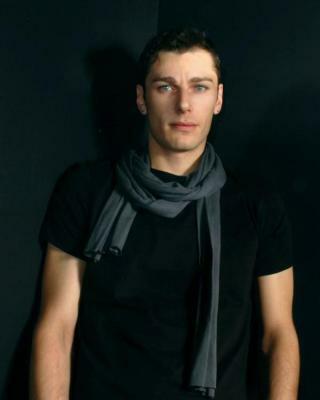 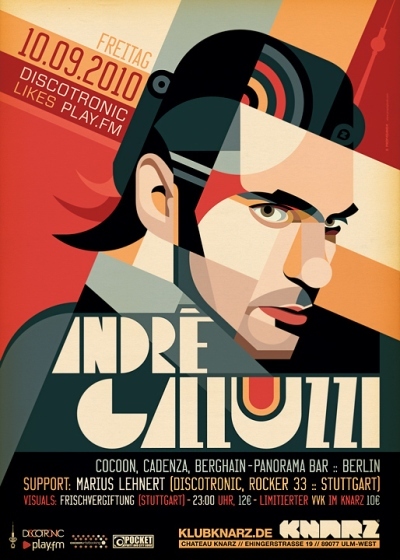 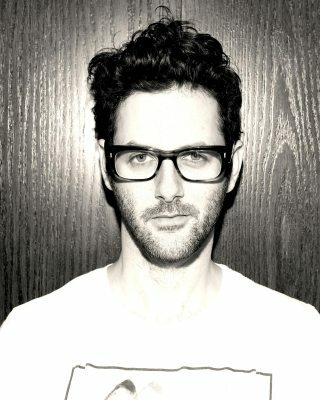 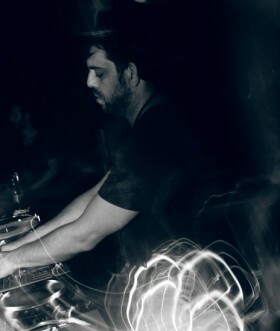 It's the second half of his warm-up set for André Galluzzi on the last Discotronic Night in June 2011 - 1 1/2 hours of nice and groovy electronic music, exclusive for all Discotronic supporters! 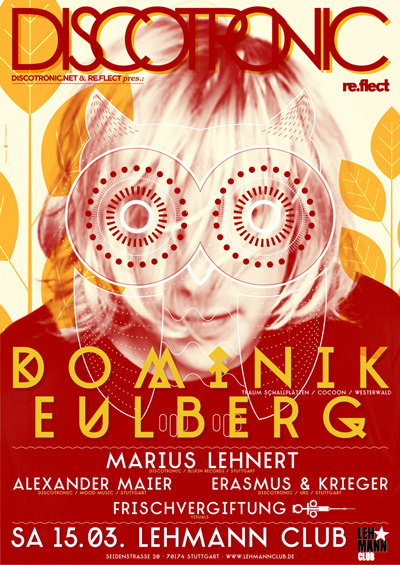 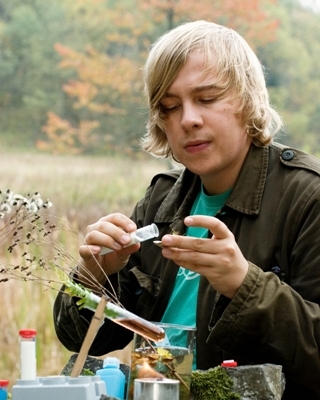 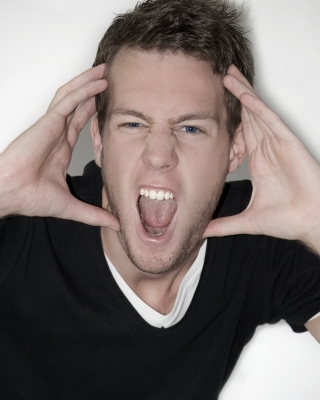 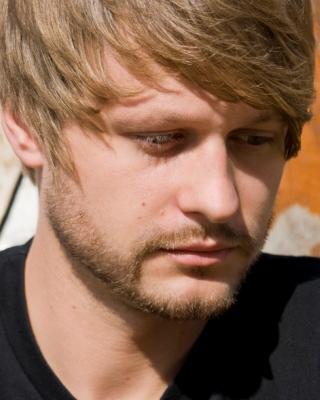 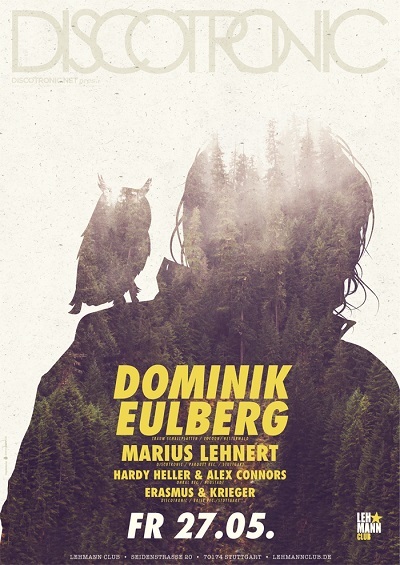 Intro: New Discotronic podcast from the incredible Dominik Eulberg. 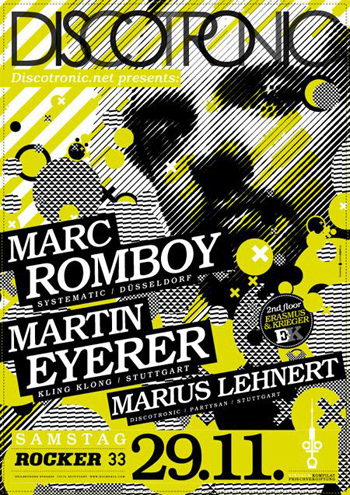 It's his whole set from the last Discotronic Night in April 2011 - nearly three hours of best forward electronic music, exclusive for all Discotronic supporters!